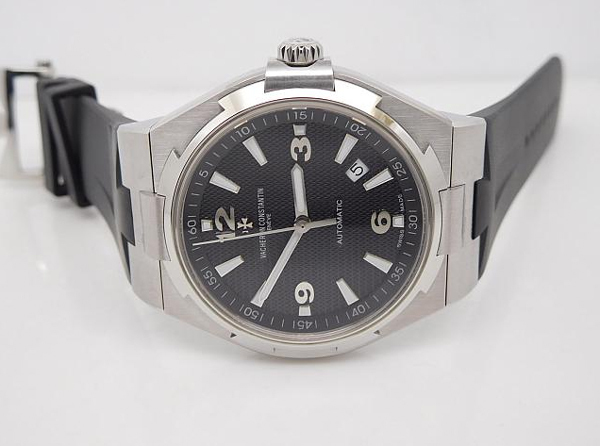 It is a very common watch and I have never introduced such type of watches here except some Rolex watches like Datejust. 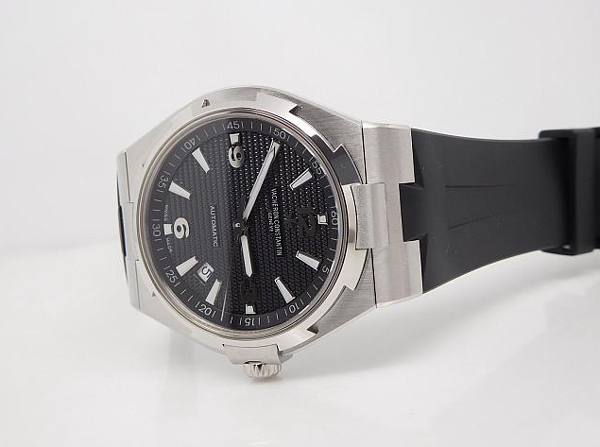 With a formal watch appearance, the Vacheron Constantin Overseas 47074 is actually a diver’s watch I think, because its lume dial is really attractive. 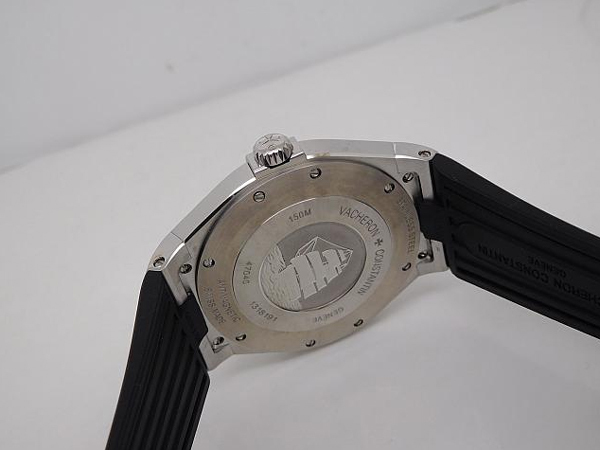 The watch is produced by BP factory and has two dial versions, black and white. I love this watch because it will fit my small wrist very well. Not having too much exaggerated designs, the replica watch is very practical, even you wear it for some important formal events, it could also attract the attention of many guys. 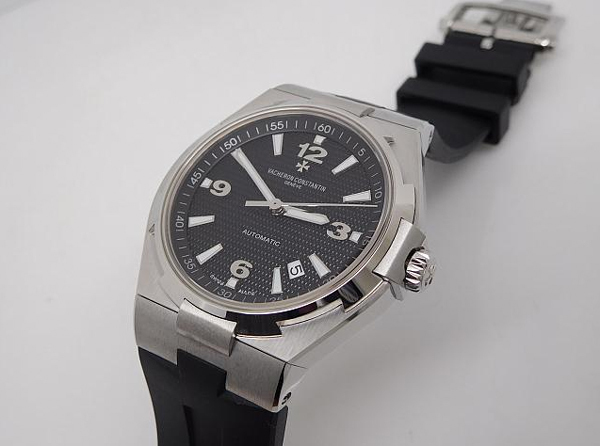 The case and bezel design is the biggest advantage of this replica watch, the 42mm case is brushed on the front while its surface on the side is polished, every corner of the case is processed very well by the factory. The bezel is so special, it should be screwed down into the case, these grippers design on the bezel make the watch look very strong and give the wearer a reliable feeling. 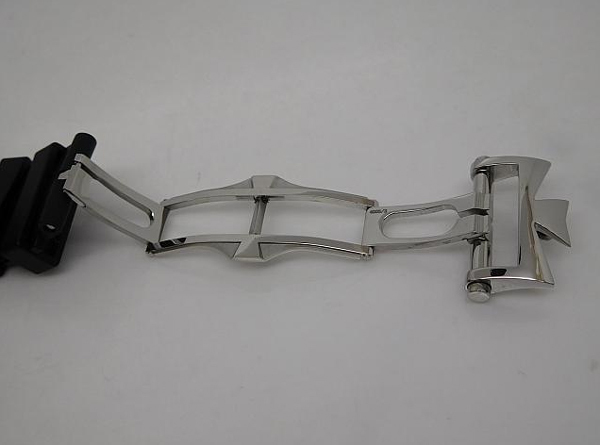 The rubber strap is connected to the case through the metal sheet that is fixed by screws, the connection is very strong and solid. Watch crown has obvious flutes, it is very easy for you to operate. These small patterns on the dial are 3D, including the hour markers. 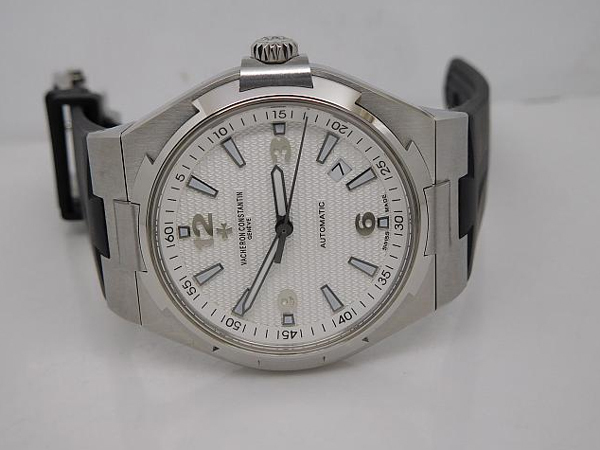 The unique Vacheron Constantin logo is placed under 12 o’clock. Except the 3-6-9-12 digital hour markers, others are all trapezoidal markers with silver edge, the central part of these hour markers is filled with durable luminous material. Small date window is placed at 4:00, it has black date font in white background. I love the slender central second hand, especially when it is sweeping across the dial. 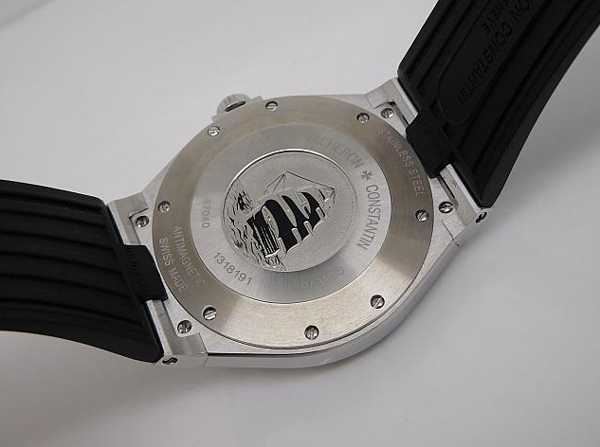 The engraving on case back is vivid, it describes a ship in the wide sea, this exactly tells you the inner meaning of Vacheron Constantin Overseas.